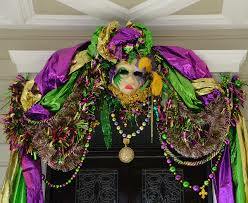 Beads, excessive libations, scantily clothed women and an “anything goes attitude”! 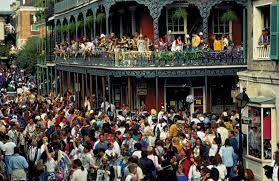 Most people have a vague idea of what Mardi Gras is all about. 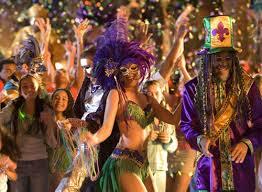 Believe it or not, the traditional holiday that we celebrate today is a far cry from its religious origin; Fat Tuesday. “New Or-linz” — Three syllables. Easy peasy. Don’t complicate it, don’t drawl it (unless you actually have a drawl of your own), don’t be cute. If you want people to understand you and not laugh at you, this is the way to go. So as many of you already know, I use any holiday (real or made up!) as an excuse to PARTY!!! 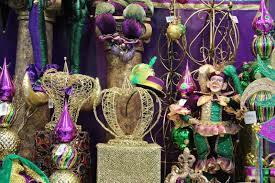 If you read the “HISTORY OF MARDI GRAS” above then you have a pretty good idea of what you will need to make your party special. Suffice to say, that you CAN NOT and I repeat CAN NOT be too excessive with this theme. 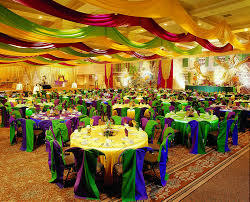 The traditional theme colors are a variations of purple, green and gold but really anything flashy and flamboyant will pass. You can decorate as little or as extravagantly and detailed as time, creativity and your wallet will allow. 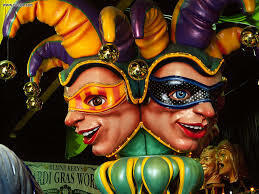 Most local party and variety stores carry a selection of Mardi Gras related decorations but if you are planning anything out of the ordinary I would suggest shopping on line and/or purchasing elements that can be used to make unique decor. Remember the PARTY HARDIE anthem; buy after the holiday for next year and save BIG BUCKS in the process! Here are some pictures to start your engine rolling! 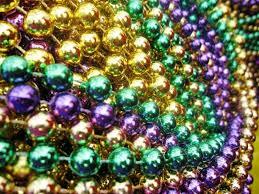 Beads, beads, beads (did I say beads)… they come in all shapes, themes and colors…the crazier the better! Not everyone can celebrate Mardi Gras in New Orleans but you can bring a little of the big easy to your home town! This float is really cool but might be a bit large for your living room! This a great example of a large scale dinner event. Wowie zowie! Details are everything when it comes to decor…go big or go home! 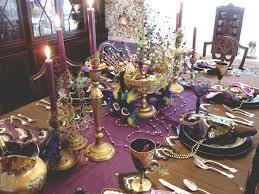 Even a small dinner party commands a royal touch to bring the event to the next level. 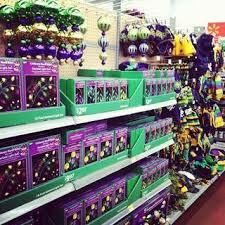 Start looking at your local party store for inspiration! 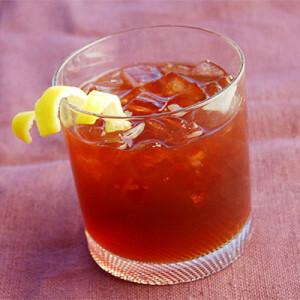 Click on the above link “Hosting a Mardi Gras Party”. The “Sazerac”…Said to be The Big Easy’s first cocktail, it was originally served at the Sazerac Coffee House. (and you thought it was the Hurricane). 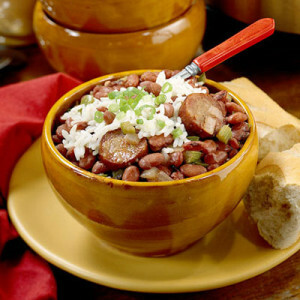 Don’t leave out Red Beans & Rice! Most of all, have fun! And PARTY HARDIE my friends!